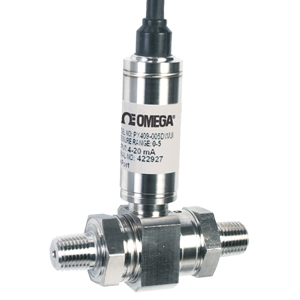 These rugged stainless steel transducers are ideal for industrial, automotive, or aerospace applications where only one side of the transducer is exposed to wet media. These wet/dry transducers deliver the great performance characteristics of the Micro-Machined Silicon Series Transducers at a lower price than the wet/wet models. They can be used in test benches, filter monitoring, air flow, factory or pneumatic air, pitot tubes, air speed and other industrial or aerospace applications requiring a very rugged wet/dry transducer. The solid state silicon core will provide long, reliable service life with excellent long term stability.